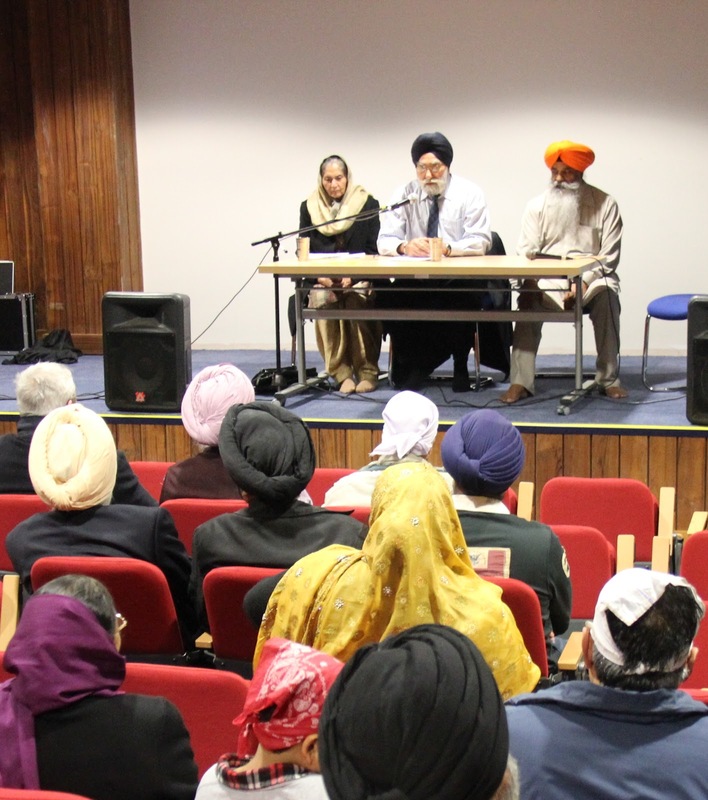 Article based on a presentation by the author to a mixed Sikh and non-Sikh audience, following the opening of Shaheed Bhai Amrik Singh Lecture Theatre at Guru Nanak Darbar Gurdwara complex, Gravesend (UK), on Sunday 2 December 2012. Aad Niranjan hai Gur Nanak, Dhaar ke Moorat hai jagg aayo. The Guru Jyot, the Guiding Light of the Perfect Lord has arrived on this earth, as Guru Nanak. 1. The political, religious and social conditions of the times, including one important incident, which would have influenced Guru Nanak Sahib’s teaching mission. 2. Some relevant quotations from Guru Nanak’s Bani – holy hymns. 3. His Founding Precept called the Mool Mantar & its significance. 4. Main features of the Guru’s teaching. That is a reference to the great Sikh heritage, the Sikh virsa. Guru Nanak was the first popular leader of the people of Panjab. Prof Satbir Singh, professor of Sikh history, used to ask his 1st year students when starting a new class, “Name some famous Panjabis before Guru Nanak Sahib. “ Some brighter students would mention, Porus (a Punjabi king, who showed great bravery when opposing Alexander the Great in 326 BC); Anangpal (about 1100 CE and also 1st ruler of Delhi), and maybe one or two others. But all hands would go up when asked to name famous Panjabis after Guru Nanak. Students would even start with the Sikh Ardaas – supplication – naming the ten Gurus starting with Guru Nanak ! Panjab is the land of the Gurus. Panjab, Gurua(n) di dharti hai. Why was there a need for introducing an independent system? The “Tisra Panth” or Third Path (religious system) after Islam and Hinduism? From Guru Nanak’s holy hymns, His Gurbani, it is clear that there was very little in the political, administrative and religious practices of his time, that he found commendable. But first, let us look at this incident which took place in 1499, mentioned in Islamic historiography called, Tarikh-e-Farishta. Farishta was a leading Muslim historian of the time. He records the execution of a Hindu youth called Yodhan of village Qateen. Yodhan was tried by the Ulema of Northern India i.e. the Muslim scholars versed in Islamic law. So, what was Yodhan’s crime ? The Muslim did not agree and felt that such a statement was an insult to Islam. It amounted to blasphemy. He reported to the local Quazi Pyare and Sheikh Badar. The Quazi took a very serious note of the “offence”, whilst the Sheikh was prepared to ignore the matter. The dispute was referred to the local ruler of Lakhnauti, Aazam Humayun. He could not decide either, and, as it was a matter which concerned Islamic law, referred the three to Emperor Sikandar Lodhi at Delhi. Farishta says that it was a famous event of the time. The news would have reached Guru Nanak Sahib. From his sacred hymns (Shabads), like those written after the cruelty of Babar the invader, one can well imagine the impact of such news on his gentle nature. Farishta does not give the reasons for the verdict. 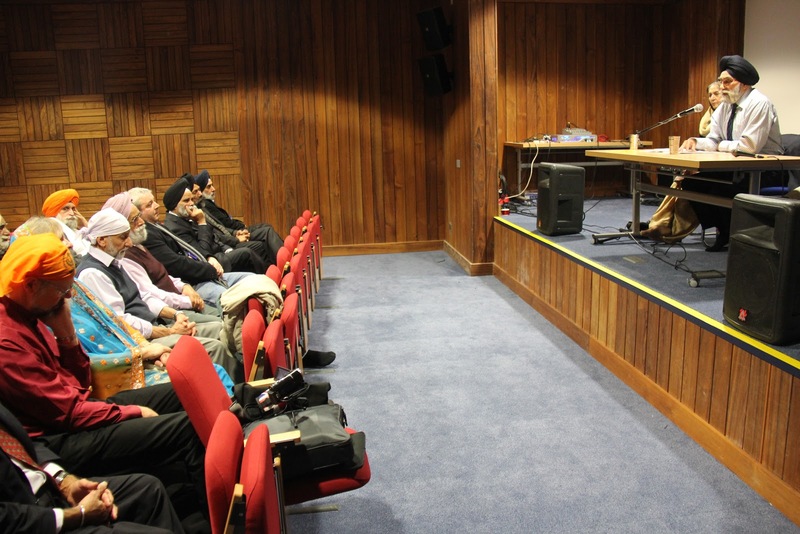 However, according to Harbans Singh Noor, various participants in the seminar would have used typical Islamic arguments often used to mistreat Hindus; and to establish that Hinduism is not a true or righteous religion. Arguments such as: that Hindus are polytheists and idol worshipers; that Hindu deities are based on myth, while Islam was revealed to Prophet Mohammad; that it was the duty of Islamic rulers to protect Islam. They would have followed the doctrine of “Deen Panab” propounded by an Islamic religious scholar, Mubarak Ghaznavi. He takes bribes and deals out injustice. Man eaters do the Namaz prayers. According to Bhai Gurdas, the truth, or the righteous path was abandoned; and Brahmins and the Mulanas were going for each other’s throats ! Sach kinaaray reh gia kheh marday Bahman Mulaanay. A clarion call for belief in One Creator Being was heard in Panjab;and a perfect (spiritually accomplished) man, woke up India from a (bad) dream. Hind ko ek Mard-e-Kamal ne jagaya Khwaab se. Guru Nanak began his mission by describing the nature of the Creator Being, the Source of Reality, as revealed to him, so that human beings, the created, would aspire towards those qualities and establish a direct connection with the Source without the need for a human guru to intercede. The Guru Jyot (Light or Guide), is the Word Guru of which Guru Grath Sahib is the embodiment. Ik Oankaar – The indivisible One, so that all creation is withim that One. There is no “other”. There is only One and no “other”. Satt Naam: True is the Name of that One (by whatever Name remembered). All our existence is within that One ultimate Reality. Naam is our total awareness and experience. Naam is the totality of our existence. Karta Purakh: The One is The Creator Being of all, Who is within and without our perception of Creation. Nirbhau: Without fear and Nirvair: Without animosity – He has no enemy. These two qualities, Nirbhau – without fear - and Nirvair – without enemy, give the Sikhs their civic code. Akaal Moorat: The One IK Oankaar, is Timeless form. Ajoni: Never born, outside cycles of birth and death. Saebhang: Self existent. Ever fresh, Self renewing. Gur Parsaad: Only through the Grace of the Holy Preceptor can one be united with the One, and this falsehood of duality between the Creator and the created, removed. Sikh Dharam is also called the Naam Marag, the Path of Naam. Sikhi is the preferred word for Sikh religion. Three linked Sikh concepts of Naam, Guru and Sangat express the unity of the Ik Oankaar, the One Creator and the created. All creation is manifestation of Sat Naam. The Guru is the Guiding Light, the Jyot, the Guiding principle of Naam;. and Sangat teaches us how to live in accordance with the Guru’s teaching. Sangat, the holy congregation, interprets the Guru’s Word and teaches us the Jugat or Jeevan jugat, i.e. how to live our lives. So, Jyot and Jugat go together in the Sikhi Naam Marag. The Path of the Naam. All Sikhs have direct access to the Holy Scripture, Guru Granth Sahib. There is no intermediary between a Sikh and Ik Oankar, Waheguru, the Wondrous Giver of Knowkedge, the Dispeller of Darkness. That is the Khalsa connection, the direct link. It follows, that there is no ordained priesthood in Sikhi. Through the twin concepts of sewa with simran. Sewa means serving all without distinction, while doing simran i.e. remaining immersed in God love and God awareness. Active sewa is a pre-condition for salvation. In that same spirit of love and a desire to serve humanity, a Sikh also works tirelessly towards a just society. Sometimes, as the ultimate solution, a Sikh resists oppression and injustice with own life and, if necessary, through armed struggle. Closely linked are the Sikh saint-warrior and shaheedi i.e. martyrdom traditions. Sikhi rejects every excuse for any form of discrimination. Sikhi raises the status of women by treating all as soul-brides of the Lord Creator. Sikhi promotes participative family life, so that constant God remembrance (simran) is combined with honest living and sharing. (Naam japna, Kirat Karni and Vand shakna). These are the three pillars of Guru Nanak’s ideology.). Therefore, Sikhi rejects monasticism and opt-out eastern ideologies, which make religious practitioners dependent on working householders. Sikhi promotes the path of udham, ghaal and Nadar. Action and initiative; sustained effort with total belief in Waheguru’s Grace (Nadar) which can instantly break the cycle of Karma. In short, look after your “here and now”; and “hereafter” will look after itself. Therefore, Sikhi rejects traditional karam (karma) philosophy of Indian systems. Sikhi makes freedom from fear a human goal i.e. cultivates the Nirbhau quality - - so that a Sikh remains in positive spirit or chardhi kalaa in Waheguru’s Will or Bhana. By the final Command of the Tenth Master, Guru Gobind Singh, the Jyot resides in Guru Granth Sahib, the Word Guru, and Jugat is in the holy congregation, the Sangat, represented by Guru Khalsa. The distinction between the Guru and the Gursikh, the Khalsa, following in the Guru's footsteps, was removed (Aapay Gur-Chela principle). Essays by Dr I J Singh published in The Sikh Review and also as books by www.centennialfoundation.org A paper "A Sikh view of Judaism, Christianity, Islam, Hiduism, Budhism and Natural Faiths..." collated by Dr K. Ranvir Singh for the Parliament of World Religions, Cape Town 1999, makes interesting reading regarding the Naam. Guru and Sangat concepts in Sikh thought.